Trying to be an up-to-date astrologer in this time of such incredible discovery and dynamic change is both frustrating and humbling. Never before in our written history have we had so many new planetary discoveries to take into account. Should we even take them into account? Astrological traditionalists mutter irritably about the `black chart` (from all the printer ink) and astrology students still struggle to understand 11 planets, 12 houses, 12 Zodiac influences and dozens of aspect possibilities. Who wants another dozen Asteroid Belt and Kuiper Belt objects? Well, lets put that another way, who wants life in the 21st Century? Because like it or not, these planets are describing the future of humanity and where it’s going. The last really big changes in our understanding of the Solar System began in the 17th century when Galileo devised the astronomical telescope and was locked up for finding Jupiter’s moons and daring to suggest that the Earth wasn’t the centre of the Universe. All sorts of fundamental discoveries and calculations emerged in astronomy/astrology and these coincided with civilisation’s shift from Rome to Northern Europe and the beginning of several different revolutions. Likewise in this current age of accelerated growth, there are massive discoveries and shifts in all areas of human endeavour and as with the discovery of Uranus and Neptune, we now have new planets that will symbolize significant, emerging collective influences. The new discoveries are in the Kuiper Belt, which is a doughnut shaped ring around the outer edge of our Solar System containing thousands of rocky objects. It is outside of Neptune and looks like a swarm of bees from space. It all began in 2003, with a refurbished telescope and a complex, new digital camera that was constructed by a collaboration of many dozens of scientists from 4 astronomical and scientific institutions in California. The many different project groups in the Palomar-QUEST survey² were to look for exploding stars and black holes in the Universe, any asteroids that might hit Earth and any planets that might exist in the Kuiper Belt. Five years later, the main astronomers in the planet search group, David Rabinowitz, Mike Brown and Chad Trujillo certainly had a result and enjoyed the glamour of extensive media coverage. But several other groups also gleaned considerable and valuable base line information about the Cosmos, time dimensions, dark matter distribution, cosmic rays and energy generation. To get a picture of the main planetary discoveries, take a look at the illustration and you will see how we have grown! To cope with labeling and naming the new discoveries, the International Astronomical Union gave us official new categories and now we have a new class of planet called a Dwarf Planet. As the name implies these are mini planets and they live in the Asteroid Belt between Mars and Jupiter, or the Kuiper Belt. Just what is a dwarf planet or planet or asteroid is a glorious bun-fight between astronomers, but it looks like this at the moment: Ceres has been promoted from the classification of asteroid to dwarf planet, which identifies her as `special` and she will rise in astrological importance. Pluto is currently a dwarf planet and strangely his moon, Charon, was also called a dwarf planet for a while, before this classification dropped from popularity. Then we have the newly discovered dwarf planets - Eris, Haumea and Makemake. So What Do They All Mean? The astronomers have wholeheartedly immersed themselves in mythological symbolism and broadly assigned the inner Kuiper Belt to the Underworld and the outer Kuiper Belt to Creation.³ This has helped us out with the astrological understanding considerably, so it was no surprise to see that the Kuiper Belt discoveries coincided with the recent advancements in quantum physics; it’s theories of hidden, invisible dimensions and the search for the holy grail of creation. It simply remained to re-read the ancient texts in the light of the new science and it became pretty obvious that the Dark realms, which contain variously Chaos, the Duat, the Underworld and the Ether, are the missing multiple dimensions that science now predicts underpin our dimension. After adding everything up in the Universe – all the stars and planets, the Earth, you, me and the cat – they worked out that in order for everything to stay where it is and not fly apart, there must be another 96% of stuff that we can’t detect. It’s missing. 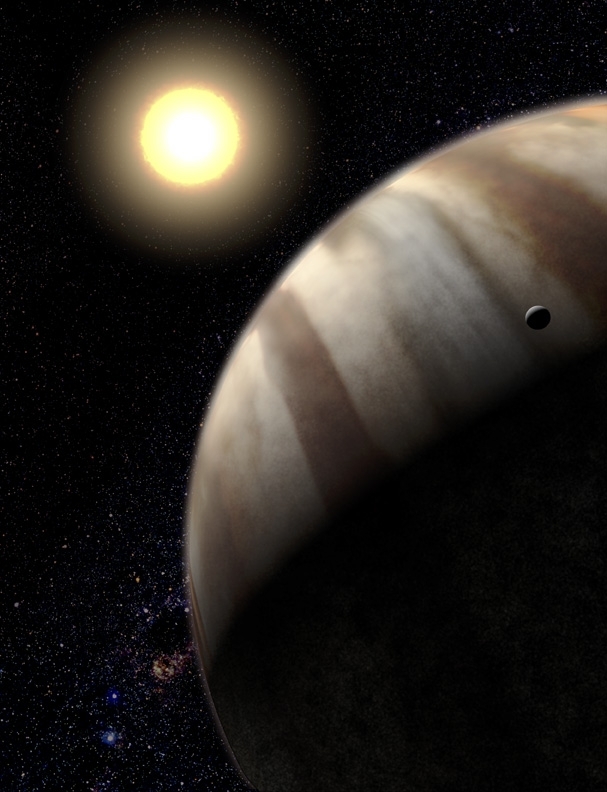 The scientists even named this missing 96% `dark` matter and `dark` energy - an unconscious nod at Pluto. An article about the dwarf planets isn’t just about the Kuiper Belt, it is also about Ceres and now her bridge(4) is not just between the personal planets (Sun, Venus, Mercury, Moon, Mars) and the inter-personal planets (Jupiter, Saturn). 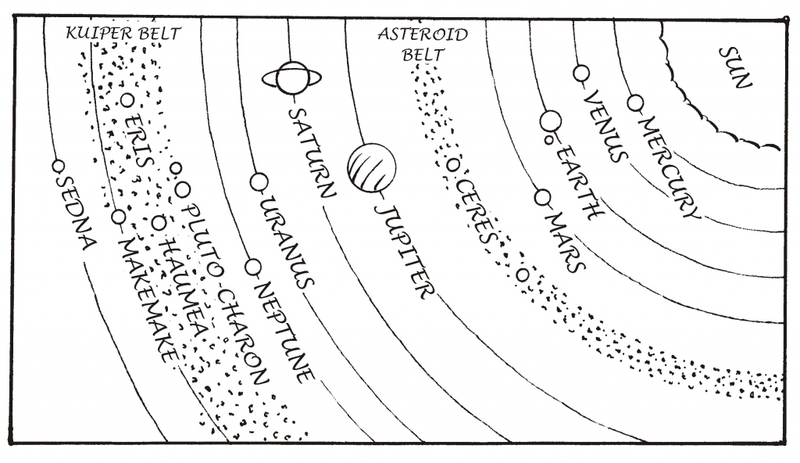 It is also between the personal planets (as in one human life and soul) and the Kuiper Belt, which represents the hidden dimensions of origin and the Underworld of myth. One of the most stunning revelations about Ceres since her promotion was a report in New Scientist, suggesting that the dwarf planets Pluto and Ceres are comprised of similar, special material and were once one. It says “The dwarf planet Ceres…..may have been born in the same realm as Pluto, but traveled all the way to the asteroid belt. "(5) In myth, Proserpine, daughter and emanation of Ceres does indeed share the Underworld with Pluto as his queen, before returning to the Upperworld. Isis, Ceres’s Egyptian predecessor, helped souls travel to the other realms and return with incredible knowledge of many spiritual things. According to Dr Paul Brunton,(6) the high priests of the temples were adept at taking the body into a cataleptic state from whence the soul could travel into the other dimensions. They learnt that there was no death, but merely a transformation into higher states of consciousness and after initiation they feared death no more. Ceres’s position, so much closer to Earth, symbolises her protectiveness and loyalty to the human race, which was very obvious in the transits of Aug/Sept 2007. Sedna (symbolises hurricanes, rain) was in a 2 year long square with Neptune and it rained…….a lot! Vast areas of England were flooded and the crops were rotting in the fields. The news reports were dire and there was no hope. Then planet Ceres moved in front of Sedna and a miracle happened. The rain stopped, the Sun came out and a few days later the farmers brought the harvest home. She is known as a grain goddess but she is as much about the care of the human seed from embryo to child, to maiden, to mother, as she is about the care the farmer gives to the corn seed as it emerges from the dark, soil underworld to become a seedling, ripen, be harvested and then returned to the underground grain silos to await planting again. She is there in death, loss and grieving, but she also emerges with us in birth, fecundity and growth again. Ceres’s promotion to dwarf planet not only indicates a huge rise in matriarchal, goddess energy. She is a source of close-to-home, familiar, protective comfort and provides a stern reminder to honor planet Earth and the cycles of the seasons. Pluto-Charon of the Kuiper Belt. Those who ignore the re-classification of Pluto to dwarf planet, miss the opportunity to explore rich new facets of his buried treasure, whilst resisting the very change and evolution that he represents. And although this is a contentious issue, it is now also prudent to look for the astrological meaning behind the I.A.U.’s August 2006 surprise announcement(7) that Pluto’s moon, Charon, should also be called a dwarf planet, making them a binary dwarf planet. Charon qualifies because he and Pluto are a comparable size and they orbit each other; the center of gravity of each planet being in the space between them instead of within the planet. They are locked together like a giant dumb-bell spinning in space. However, the lively debate about Pluto seems to have buried Charon’s proposed new status, so the jury is still out and the I.A.U. have deferred the matter for another meeting. (8) We discovered that Pluto was actually two(9) in 1978, when he was inside Neptune’s orbit, but this was understandably ignored by astrology since it made no difference to his influence. So why should we take it into account now? Pluto-Charon were responsible for flagging up the presence of the Kuiper Belt, which was eventually revealed because their odd angle of orbit to the classical planets necessitated further investigation. They were therefore early indicators and gateway to the Kuiper Belt and it is this context that makes Charon’s symbolic presence more important now. In Greek myth he was the ferryman who took the souls of the dead over the river to Pluto’s realm. Before him, the Egyptian Pyramid Texts of c.3,000BC told of a ferryman for the winding watercourse,(10) and 1,000 years after that Mesopotamian myth told of a boatman on the waters of Death.¹¹ The ancients knew that immense journeys of discovery into other realms required a spiritual guide. The whole trans Neptune experience is a metaphor for discovery and we need some guidance from deity on this potentially difficult passage. Charon the ferryman was not just the oarsman, he decided who got on the boat and whether or not they were sufficiently spiritually prepared to board. He was a stern over-seer, who demanded coins for his ferrying. The coins are possibly a metaphor for the wisdom gained in an appropriately conducted lifetime. They indicate the proper preparation. Traditionally, Pluto describes the decay and transformation part of the life cycle, but he also represents nuclear and atomic and so governs particle physics’ quest to discover the hidden secrets of the atom, with it’s invisible, ghost or `dark` particles. Pluto’s discovery ushered in the “Miracle Year” of British physics,¹² with the splitting of the atom and the theoretical discovery of dark matter and energy. However, the science was so hard to explain and understand, the public gave a yawn and turned to the sports page. Science has now built the Large Hadron Collider to investigate what exists in the invisible dimensions that spawned our creation. They will learn about the formation of our dimension from quantum-ruled pure energy to matter and form. The human race will learn of the Big Bang or `Fall` of mankind to the earthly Upperworld¹³ and science will cross from this dimension to our origins. For this we will need a guide and Charon looks like a suitable candidate. One last point before we move on to the other dwarf planets concerns that of duality. NASA(14) says that “Pluto has a dual identity” and this throws up some intriguing spiritual comparisons. The Egyptians used the serpent to represent duality(15) and one cannot help but ponder on the serpent’s many associations with scorpionic and plutonic matters throughout history. (16)There was a serpent in the Garden of Eden who invoked huge change and there are serpents associated with kundalini, magic and healing; such as those on the Caduceus, the staff of Hermes. The dual dwarf planet image of Pluto-Charon makes a lovely symbol for the super-symmetry theory of science. Putting it simply, the atoms in your skin appear to be empty. Today’s powerful microscopes have tried to find the solid bit in the atoms that make up skin molecules and cells, but they pass right through. Atoms are made of particles and these are just spinning vortices of energy. Your skin feels solid because of the resistance from the extremely fast vibration. Think of a bicycle wheel that looks solid as it spins, but you can pass your hand right through the spokes when it stops. The theory is that every particle of matter has an equivalent `dark` or `super` particle attached to it that gives it mass or presence but is undetectable in our dimension. This means you have a dark, `super` body as well as the one you know about [Well we could all do with a super-body!] and this seems to be beautifully symbolized by Charon’s emergence from behind Pluto, whose accredited size had to be reduced after we discovered he shared his mass with Charon. Eris, Goddess of Resentment and Revenge. And now we must move on to the dwarf planets that were actually discovered. An interesting row broke out between astronomers over the discovery of another dwarf planet, Haumea, as two groups claimed to have found her at the same time. One was the American group in the Palomar-QUEST survey and the other was a Spanish team headed by Jose-Luis Ortiz. The voluble and maverick leader of the American group, Mike Brown, [a Gemini(17) with an apparent strong Jupiter or Sag influence] accused the Spanish of computer “hacking”(18) without “scruples”, believing that they had used his research without citing it. He was anxious to protect knowledge of Eris, his team’s most prestigious find in the Kuiper Belt, but up until then top secret and un-announced. Eris is bigger than Pluto and should have been called the 10th planet, but this caused a rumpus over the term `planet`, which unbelievably had no official delineation. The result of this was a decision to call the classical planets on the ecliptic “planet” and no longer apply that term to any new discoveries. This would establish stability in school textbooks. The Kuiper Belt, along with Pluto-Charon, is at an angle to the ecliptic, so this made things easier to split up. Eris’s nickname before being officially named was Xena (from the TV series Xena, Warrior Princess) and both these names can be seen as important since a set of considerable coincidences tie them both in. Eris is known as the Greek goddess of chaos and strife who calls forth war and runs amok on the battlefield. Whilst this might be one result of her involvement, we have to be careful not dismiss Eris as a mere leather-clad thugette intent on causing WW3, for her meaning is oh-so-much more complex than that. As such, she describes an abstract concept that will be useful in psychological astrology. Eris is that part of us which feels envy and resentment towards `those-who-have` or those we feel might be taking something that is not morally or rightfully theirs. Personal or collective outrage and revenge ensues, which brings in Mars, a companion of hers in myth. She will also take a situation that should have been sorted out and introduce exposing circumstances that will get it out of the box for resolution. For instance, the proper categorizing of Pluto was long overdue and it was right to begin the debate of `planet` or `not planet`. And maybe the American astronomers who discovered Eris should have ensured computer security before they entered secret data regarding her movements, thus driving the Eris-enraged Mike Brown to have a go at the Spanish for going into accessible web logs. An example of Eris working in the collective could be found in the row over M.P. expenses in the UK in May 2009. The public and press became Eris-enraged when they felt that M.P.’s had gorged themselves on the public purse and taken much more than was fair or morally theirs, although it had all been accepted by their own expenses department. The public fury was about `if I can’t get that, why should they have it?` and recriminations and public revenge were rife. Here we see how Eris energy will work in a fair and ordered society to control the excesses of the group and this is a natural law of civilization. However, Eris is strong and she can be volatile, vicious and spiteful. In `Works and Days` Hesiod warned of “slanderous-tongued Envy, with look of deadly hate,….”(20) but he also gave us a careful and enlightening explanation of how to live positively and take advantage of Eris’s competitiveness. His “good” Eris supports the worker in the race for wealth and prosperity by stimulating him into industry and determination. “Bad” Eris would engage him in acts of envy that would waste time and prevent his own success. Hesiod demonstrated clearly the duality of Eris, which is common to the dwarf planets where things are not what they seem on the surface. So, Eris is part of the natural justice system, a divinely instigated and policed moral system of repercussions and encouragement; inherent in the DNA of humans and the larger group. As such, this article can’t really do her depth and complexity justice, but further research and assessment is available on this web site. The Polynesians who colonised Easter Island were incredibly skilled oceanographers²¹ who travelled thousands of miles around the Pacific Ocean in giant double-hulled canoes. Makemake was their adored chief god whose priests presided over seasonal fishing taboos and various other crop-planting and sport related festivals. In 2009 Makemake began to show strong resonance with the issue of Somalian piracy, which was making world headlines. The pirates are skilled and stealthy sailors who operate over hundreds of miles of ocean and it is interesting to note that the world’s navies have a hard time locating the pirates whilst the pirates have no problem evading the navies and locating suitable ships to board. The Easter Islanders had formidable pilfering skills and thieving was one of their greatest delights with codes of conduct and social acceptance that we do not understand. Piracy seems to be a mixture of thievery and seafaring skills. Fishing quotas and fishing stocks in general are also his thing. There are a couple of synchronicities worth mentioning here and the first concerns the election of President Barack Obama. Haumea’s name was chosen 2 years before it was announced to the world and at that time no one would have guessed that a Hawaiian born mixed race senator would run for the office of President of the United States of America and win it at the same time as the announcement was made abut Haumea. Another startling coincidence was the announcement that the planet was surrounded by 5 icy chunks and 2 moons, which seem to have been knocked off her body by a collision. (25) (The moons were found using the telescope on Hawaii.) With Haumea herself, this makes 8. The state of Hawaii also comprises of the main island and then 7 other islands that surround her, making a total of 8. (26) Myth says these islands were formed from parts of her body. Haumea, Makemake and Eris were all respected by races who believed that the god/desses were the feelings, energies and natural responses of the living and nature. They believed that all things on Earth are imbued with magical power, force and energy - fact that science now knows to be true. But this concept was alien to the West, which has worshipped a single god and not nature. We lost our relationship with the environment, tuning in to technology and tuning out the sacred feminine and natural rhythm. “The Key” from the Hermetic Texts gives a hierarchy of deity, putting a single almighty creator God at the top, with multiple and specific god/desses underneath and nature under that. Humans are bottom of the pile and they control “arts and science”. The trouble is we took control of “arts and science” and then took them too far. We introduced more and more gadgets, systems and complexity, which requires a great amount of planetary resources. But worse, we stopped believing in the god/desses. In the last two thousand years, world religions tried to cut out and exclude the middle ranking god/desses, believing that we could report straight to the top guy who is arguably represented by Uranus or the Higher Universal Mind. This monotheism took us into misguided spiritual beliefs. It doesn’t work like that. There is no quick fix straight to the top leaving out the middle management. You have to work with them or they will complain - as they are doing. For the god/desses are the 96%. They will protect this dimension and humanity for it’s enviable, independent self-governance, (which they tap into) but they do demand homage. If not, they will disrupt the whole shebang……… and then it will all have to start again. So why do we need the Dwarf Planets? 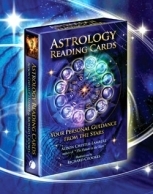 We don't need astrology to tell us life is getting more complex..... but we do need an astrology to describe it!! (4) GEORGE, D., BLOCH, D., (2003) Asteroid Goddesses Berwick, Maine. Ibis press. (5) SHIGA, D. (19th July 2008) Has Pluto sent us a message in Ceres?. New Scientist, 199 (2665), pp 10. (6) BRUNTON, P., (1988) A Search in Secret Egypt. York Beach, Maine: Samuel Weiser, Inc.
¹³ REANNY, D. (1995) The Death of Forever. 2nd ed., London: Souvenir Press. (16) CHESTER-LAMBERT, A. 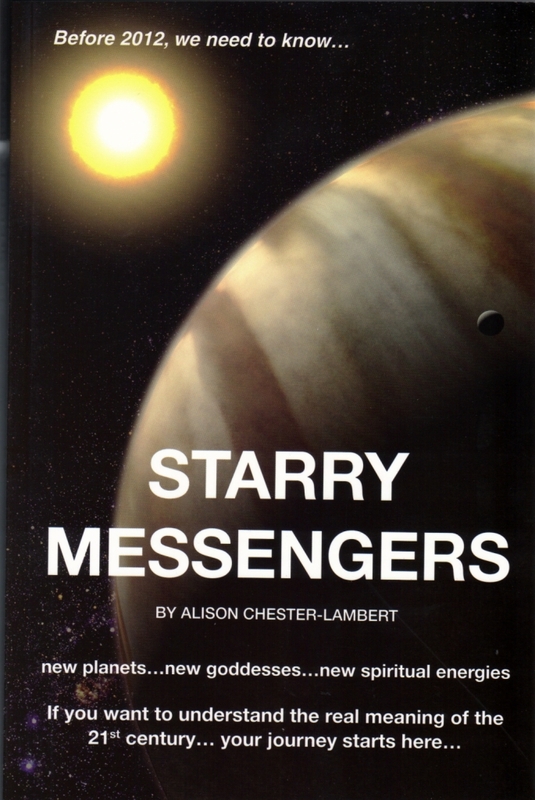 (2009) Starry Messengers. Publication to be advised.